Do a lot of off-road driving? If the answer’s yes, then you’ll understand the benefits of good spotlights! And you can get your spotlights fitted in Perth. 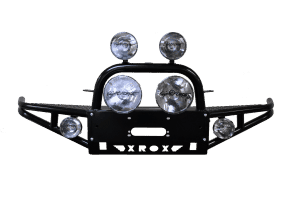 Midland Towbars has lightweight, powerful, durable lighting solutions for all type of vehicles and requirements. And high performance spotlights don’t need to come at a high price! There’s something to suit everyone’s wallet. Whether you’re looking for something big or small, rectangular or round, 35w or 100w, we can help. 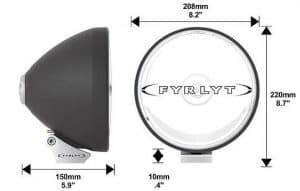 Choose from our wide range of state-of-the-art spotlights (and spotlight accessories), and we’ll fit your spotlights while you wait. some little difference to make them ‘niche’ in the market, how is a simple choice made as to what you need. At Midland Towbars, we have been supplying and spotlights fitted in perth of all brands and types for many years now and have decided to try and make it simple for our customers. We now sell mostly 2 brands that cover the extensive range of available spot lights on the market and also are within reach of the everyday budget of the common “Joe”. However, for those who already know what brand and light they want, we can easily order in exactly the light for your vehicle! And you can have your spotlights fitted promptly. The Qesta brand has been established following extensive experience throughout the automotive and industrial markets. The range has been developed to provide lighting solutions to the automotive workshop, mining, marine, electrical and DIY markets and designed to provide low heat and energy saving LED lights that are Rechargeable through 12V of 240V outlets. What other accessories are you fitting to your car? Did you know that we now do “window tinting”? Give us a call and lets have a chat about what you need to “dress up your new vehicle”!